learn on this meaningful and worthwhile program. Are you seeking a budget-friendly and unique way to travel abroad and do something grand children in need? 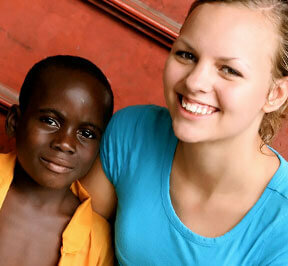 Global Crossroad offers the best and most affordable volunteer in an orphanage in Ghana opportunity. Many children in Ghana abandon their homes and families to search for prosperity in bigger cities. Unfortunately, due to the harsh reality of life they more often than not end up on the streets. These innocent and naive young children are struggling to survive on their own in the real world. Most of the times, circumstances are not what they hoped for and these children live on the streets under harsh conditions with society looking down upon them. The goal of this volunteer work in an orphanage in Ghana is to accept and accommodate these str.eet children and provide them with the opportunity to live and learn under a safe and welcoming roof. The end goal is to find them new homes via adoption or placement with family members who can care for them. The orphanage project in Ghana includes an orphanage and day care center. Most of the orphanages in Ghana are resource poor, understaffed, and are facing many problems. Our orphanage needs extra help with the day-to-day activities like cleaning, cooking, and serving food to the children. Volunteers also provide basic English education to the children and organize physical and creative activities, as well as assist the staff with counseling the children when volunteering in an orphanage in Ghana. You will become like family to these children. You have the power to make a truly positive impact on their lives and on your own life. This will be a culturally rich, heart fulfilling, and memorable experience overseas. You will walk away a changed person! 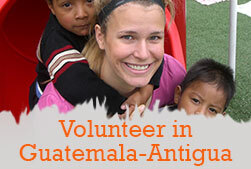 You might even decide you want to continue to travel and volunteer this way, and help inspire others to do that same. When you commit to a volunteer trip to an orphanage in Ghana, your work will be a fulfilling endeavor as you help these needy, desperate, and destitute children. You will spend 4-5 hours each day with them. You will help these children by providing basic English education and conducting various sport and creative activities to keep them engaged and feeling positive towards life. You will be part of the orphanage's extended family. You will support a variety of activities as part of this volunteer program in an orphanage in Ghana – from school lessons to games. Most of the time, you will stay with the orphans for an at-orphanage stay, much like a family member. Although this is not an official volunteering teaching English overseas placement, you may teach conversational English during your stay. No specific qualifications are required to join a volunteer trip to an orphanage in Ghana, but your understanding of Ghanaian culture and language can help improve the experience for you and the children. Consider enrolling in our one-week language and cultural immersion program. You should have love for children, empathy for their unfortunate circumstances, and a willingness to share your love with them while being patient and flexible. All volunteer programs in Ghana start every Monday of each month. However, if there is travel constrains, you can start any project on any day. Most affordable prices are offered through Global Crossroad. 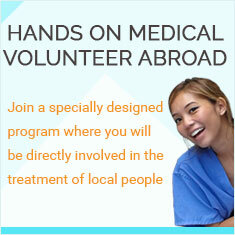 Global Crossroad is also committed to providing the highest quality volunteer work in Ghana. We strive to keep our costs low. The humanitarian side of the business is our passion. Global Crossroad's volunteer abroad in Ghana application and registration fee cost US $299. The application fee covers the cost of advertising, program promotion, and office expenses (rent, utilities, and staff salaries in USA office). In addition to the application fee, you are required to pay a weekly program fee. You will pay your weekly fee directly to the country coordinator, who in turn will allocate it to your host family, project and other in-country support we offer to our volunteers. This way, the fees that you pay will benefit those who rightfully deserve them, and not for company profit. How your fee is allocated? The volunteer trip in Ghana program fees will cover expenses that will begin on the first day of the program (usually the first or third Monday of the month) to the last day of the program. If you arrive before the first day of the program or you decide you stay beyond your program’s last day, you will be responsible for the additional expenses, which would typically be around $30 a day for room and meals at a hostel. What is a typical schedule like when volunteering in an orphanage in Ghana? The orphans attend school from 8:00am to 3:00pm. Education is considered to be an important facet of work with these children. When volunteering in an orphanage in Ghana you will help with preparing meals and day care, too. Normally, volunteers go back to their dorms or sleeping quarters after classes have ended. What courses are provided for the students? What's the distance between accommodations and the orphanage? What's the commute like when I join a volunteer program in an orphanage in Ghana? Can I have the contacts of the host family and the orphanage that I'll be staying while completing my volunteer work in an orphanage in Ghana? Upon the completion of the registration process, full information regarding your coordinator and placing will be transferred to you. What is the age range of the orphans? How many kids are there in an orphanage in Ghana? The orphanages in Ghana that we work with range between 17 orphans 90 orphans that are between the ages of 0 and 21. Is the volunteer work in an orphanage in Ghana project available year around? The orphanage project in Ghana is available all year. Most of the work in the orphanage programs in Ghana is related to the school program: January –April, May-July, and September-December.